Last weekend I went out to Cedar Row Farm Sanctuary in southwestern Ontario for a volunteer visit, a day where folks help with things like cleaning out the barn and other chores that come with providing shelter to rescued animals. As we moved around the farm with our pitchforks, buckets, and shovels, the non-human animals who make up the family of sanctuary residents kept a close eye on us. At one point during the day, I was tidying up some hay in front of the barn, and turned around to find Dark Wing and Plucky – the two resident turkeys – carefully watching my every move. I stopped what I was doing and crouched down to take a closer look at these beautiful, big birds. As we peered at one another, I realized what a privilege this visual exchange was. 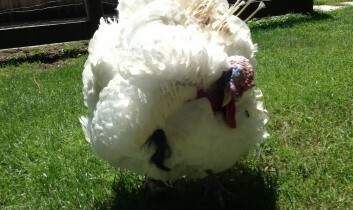 Until I started spending time at farmed animal sanctuaries, I had not had the opportunity to see a live turkey up close. It’s an extraordinary experience. In North America, turkeys hold a symbolic place as a centerpiece in holiday meals, but rarely do people have the opportunity to see them in any other context. Dark Wing and Plucky have been given the opportunity to live out their lives in peace at a sanctuary – neither of them would be at Cedar Row if it weren’t for fortuitous twists of fate. 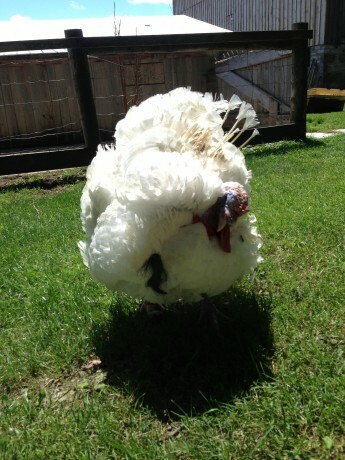 Dark Wing was rejected from the turkey farm where he was born simply because of the color of his feathers, while Plucky was gassed at the hatchery at which he was born because he and a number of other male poults were unwanted. The plan was that the bodies of these poults were to be fed to injured birds of prey at a nearby wildlife sanctuary. 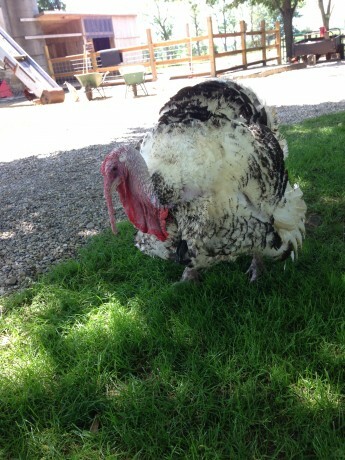 However, when the wildlife sanctuary workers opened the bag they heard Plucky peeping – he had miraculously survived being gassed and was instead taken to Cedar Row Farm Sanctuary. 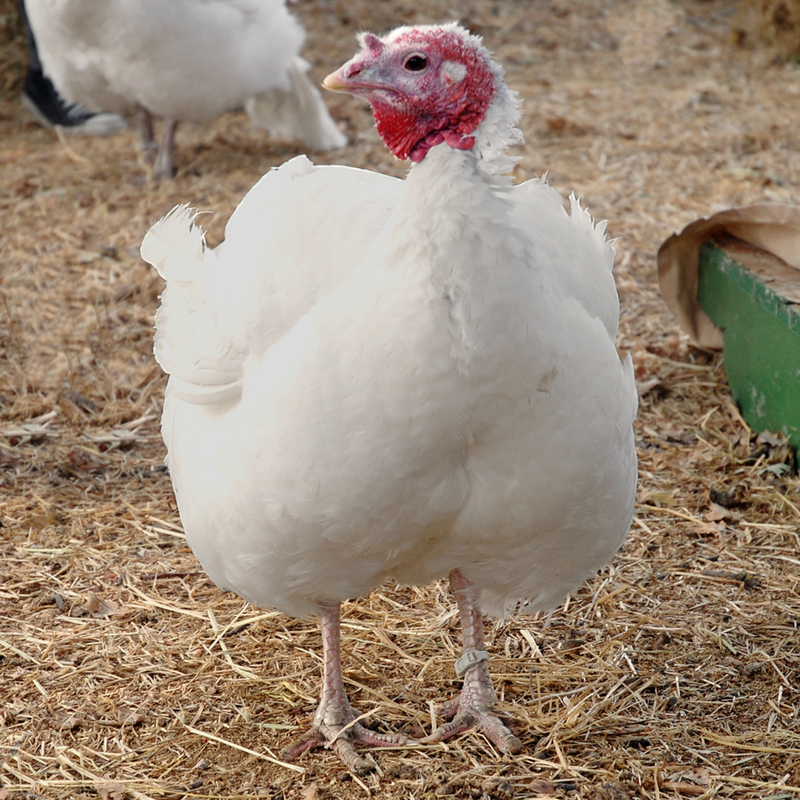 The number of turkeys who are raised each year for meat in North America is staggering. For Thanksgiving dinners alone, an estimated 46 million turkeys are slaughtered in the United States, with another three million killed as part of Canadian Thanksgiving traditions. Unlike Dark Wing and Plucky, the turkeys raised to be part of these holiday meals live in cramped and horrendous conditions. They are unnamed and hidden from view until after they are killed, their body parts plucked and packaged up for sale. Most people rarely give a thought to these birds, but Cheryl Miller, the founder of a unique new art project called 46millionturkeys, aims to change that. 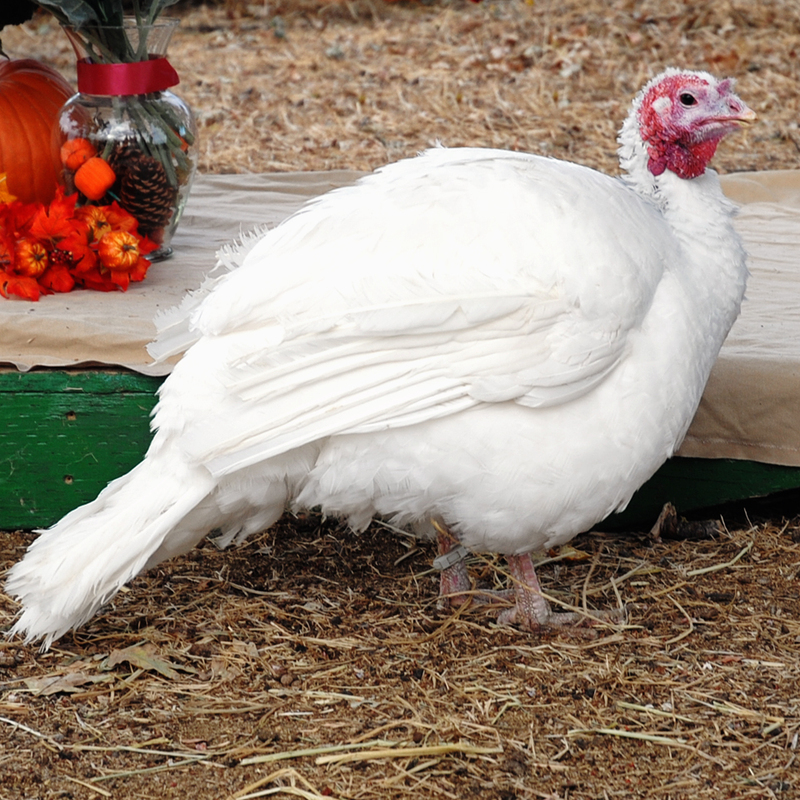 While at Farm Sanctuary, Miller participated in the Celebration for the Turkeys, which takes place around Thanksgiving each year – an event where turkeys are honored and given treats instead of being used as the main dish in a festive meal. Participating in this experience was significant for Miller, and it inspired her to use her art to find a way to pay tribute to these glorious animals. She began simply by painting a portrait of a turkey each Thanksgiving, but this year she decided to expand the project and open it up to community participation. Miller has issued a public call for people to submit creative representations of turkeys, and she hopes to end up with 46 million pieces of turkey-themed art, one for each and every bird slaughtered for Thanksgiving dinners in the United States each year. When talking to people about the 46millionturkeys project, Miller inevitably is asked questions about her intentions. Specifically, people want to know why she is seeking to collect a staggering 46 million pieces of art. This is a huge number, one that is hard to visualize, whether the context is paintings or birds. However, Miller is not daunted, and, instead, she sees this project as a way to begin a dialogue with people about the scale of industrial agriculture in North America today. 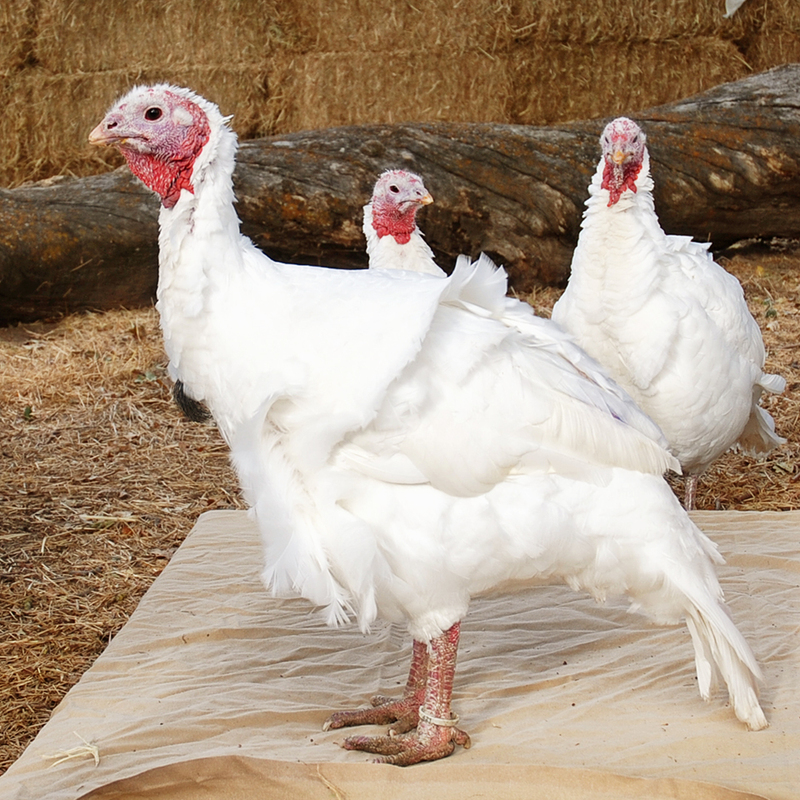 Miller launched 46millionturkeys in June 2013, and she hopes for strong public participation. The call for submissions is completely open, and Miller stresses that one need not be an artist to take part. As she notes, “Purchasing a premade rubber stamp of a turkey and filling a sketchbook with stamped images makes you a participant. Using a crafter’s die-cutting machine to cut turkey silhouettes makes you a participant.” She is particularly interested in receiving collaborative submissions as well as submissions from children. This is the kind of project that a class or community group could easily take part in. Instructions on how to submit turkey-themed artwork are on the project’s website. The Harlow Gallery in Hallowell, Maine, will be hosting an exhibition of pieces from the 46millionturkeys project in November. Has anyone heard of the movie "Free Birds?" It's coming out this November and the premise is to go back in time to save all the turkeys from getting put on the Thanksgiving menu. Here's a trailer: http://youtu.be/gxslnpqFwOs Hopefully this movie, where the talking animated turkeys are the main characters, could get people to start considering these animals as something other than the main meal at holidays. Who knows how the story in this movie will actually end, but maybe it will inspire some children, and even adult, viewers? The 46millionturkeys project sounds inspiring as well, I hope to be able to contribute! Such an interesting project! Actually doing something requires us to think about our actions and other animals' perspectives. This is such a touching way to remember the so many lives that will be lost in the name of giving thanks. I've been doodling turkeys for more than a month now and will be sending in 1,000+ next week. Love this! 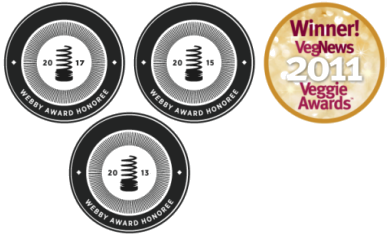 I shared on www.RaisingVegKids.com and NYC Veg Families-- hope to get lots of families and kids who want to participate. What a great project!